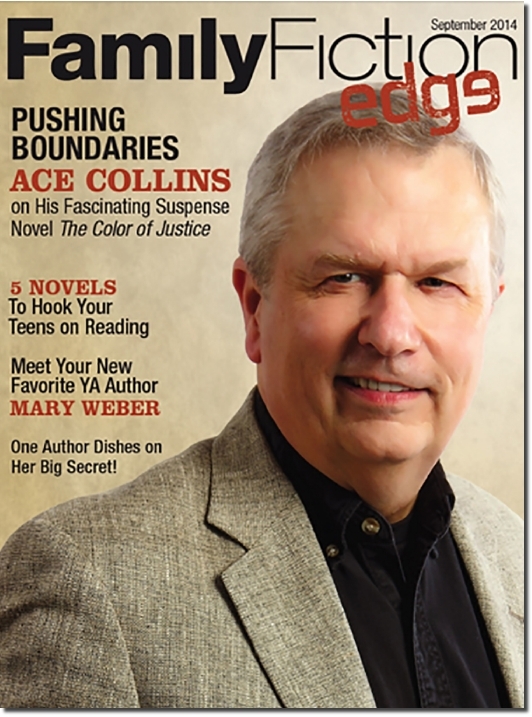 Citing his Arkansas heritage, Christy Award winner Ace Collins defines himself as a storyteller. In that capacity, Collins has authored more than eighty books for 25 different publishers that have sold more than 2.5 million copies. His catalog includes novels, biographies, children’s works as well as books on history, culture and faith. He has also been the featured speaker at the National Archives Distinguished Lecture Series, hosted a television special and been featured on every network morning TV show. In 2017 new episodes from In The President’s Service continue to be released by Elk Lake Publishing. The most recent is The Cat’s Eye with another novel, The Santa Case, set to hit the market at Christmas. Others in this series include A Date With Death, The Dark Pool, Blood Brother, Fatal Addiction, The Devil’s Eyes, The Dead Can Talk, Bottled Madness, Shadows In The Moonlight, Evilution, Uneasy Alliance, The 13th Floor and The White Rose. In 2016 Man’s Best Hero: Service Tails and The Most Wonderful Time of the Year hit shelves. The first was a follow up to Ace’s multi-award winner Man’s Best Hero: True Stories of Great American Dogs and the second is his first Christmas devotional book. Both of these books are from Abingdon. Collins’s publishing history includes the novels Farraday Road, Swope’s Ridge and Jefferson Burke and the Secret of the Lost Scroll for Zondervan, The Yellow Packard from Barbour, Reich of Passage for Bay Forest, and The Christmas Star for Abingdon. His fiction writing has covered everything from value-driven plots, to adventures, mysteries, historical stories, sentimental tales and comedy. In nonfiction, Collins has scored bestsellers with The Cathedrals, Lassie A Dog’s Life, Turn Your Radio On, The Stories Behind The Best-Loved Songs of Christmas, Father Does Know Best, and The Stories Behind The Great Traditions of Christmas. His work has been made into two network television specials and a CBS movie and The Stories Behind The Best-Loved Songs of Christmas hit #3 on the Amazon bestselling list for all books and #1 in several other categories. Beyond books, Collins has penned more than 2000 magazine features, appeared on every network morning television show, as well as CNN, MSNBC and CNBC. He also does scores of radio interviews each year. His speaking engagements have taken him from churches and corporations to the America’s Dog Museum in St. Louis and the National Archives in Washington DC. Collins has penned several production shows and speaks to college classes on the art of writing. Collins’ hobbies include sports, restoring classic cars, Wurlitzer jukeboxes and running. He is married to, Dr. Kathy Collins, the Chair of the Department of Education at Ouachita Baptist University. The couple lives in Arkadelphia, Arkansas and has two grown sons. Authors must have the positive characteristics found in Wyle E. Coyote...imagination, desire and a never give up attitude in the face of constant rejection. Being on the Acme products mailing list doesn't hurt either!